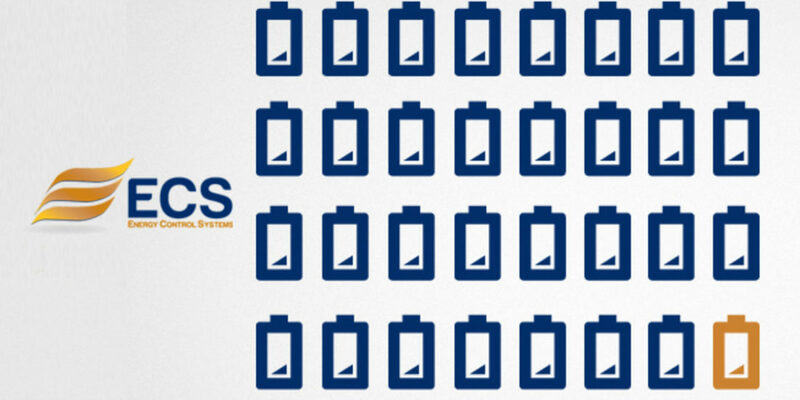 Thermal runaway is a serious but easily preventable situation that affects batteries. This situation is created when an increase in temperature changes the conditions in a way that causes a further increase in temperature. It is a feedback loop that can easily cause malfunctions. One of the first signs of thermal runaway is that the batteries become hotter than normal. Initially, the batteries will show signs of heat and may begin to bulge and/or ooze as well. Next, the oozing and bulging will increase. Ultimately, the worst-case scenario can occur – a meltdown. If left unnoticed and unattended, the results can range from a localized effect to an entire infrastructure catastrophe. It is important to note that just because a battery says “maintenance free” does not mean that they will operate perfectly forever. That is why it is important to have your batteries checked at a minimum of once a year. Heat is never a good sign when you are dealing with batteries. 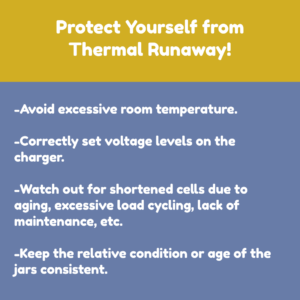 Without proper maintenance and the correct setup, you can end up experiencing thermal runaway. Don’t let thermal runaway end up costing you in the end. Contact ECS today!